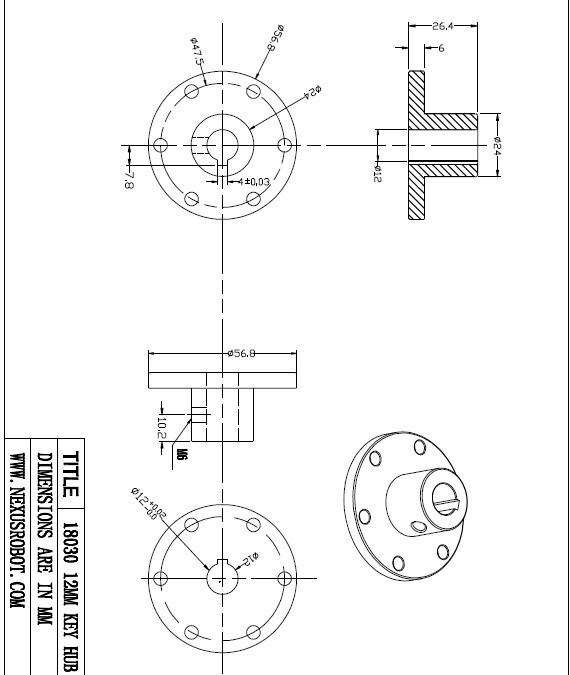 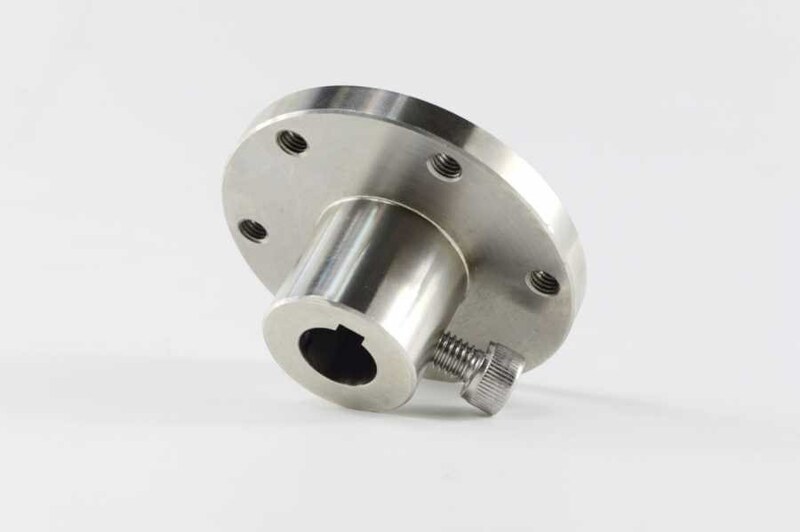 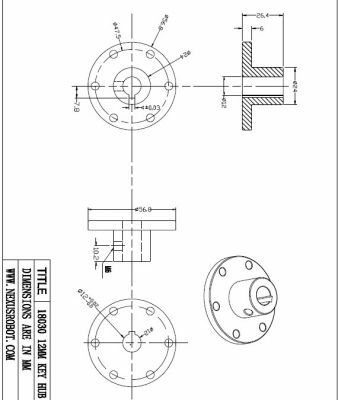 This 12mm stainless steel key hub is designed to connect a motor and a wheel. 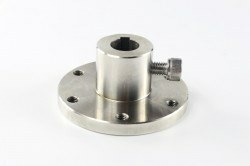 And this hub is made from stainless steel so it is more sturby and durable than the Aluminum one. This hub is key-locked and loctited to the motor shaft. 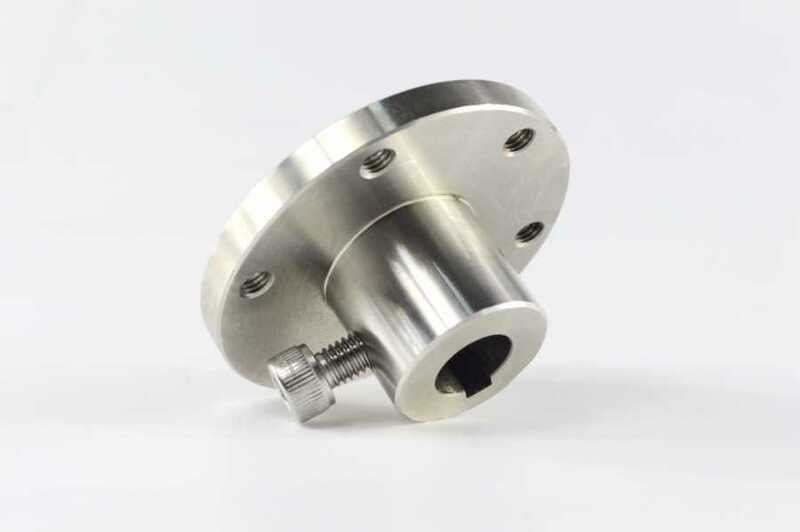 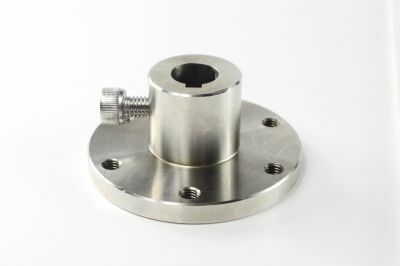 This stainless steel hub will meet you requirements perfectly when you connect it to your wheels.